The Formax FD 125 Card Cutter is ideal for on-demand processing of full-bleed color business cards, postcards, greeting cards, spec sheets and photos. With its capacity to cut a variety of paper sizes and weights up to 300 gsm, you can create professional quality cards right from your desktop. The FD 125 has a small footprint and an easy-to-use control panel with LCD display. The FD 125 cuts sheets from letter size all the way to 13” x 19”. It automatically cuts and slits documents, then stacks them in sequential order at speeds of up to 240 business cards per minute**. Utilize the 7 pre-programmed jobs or 6 programmable jobs to save time and effort. The stand doubles as an easily-accessible waste bin compartment. 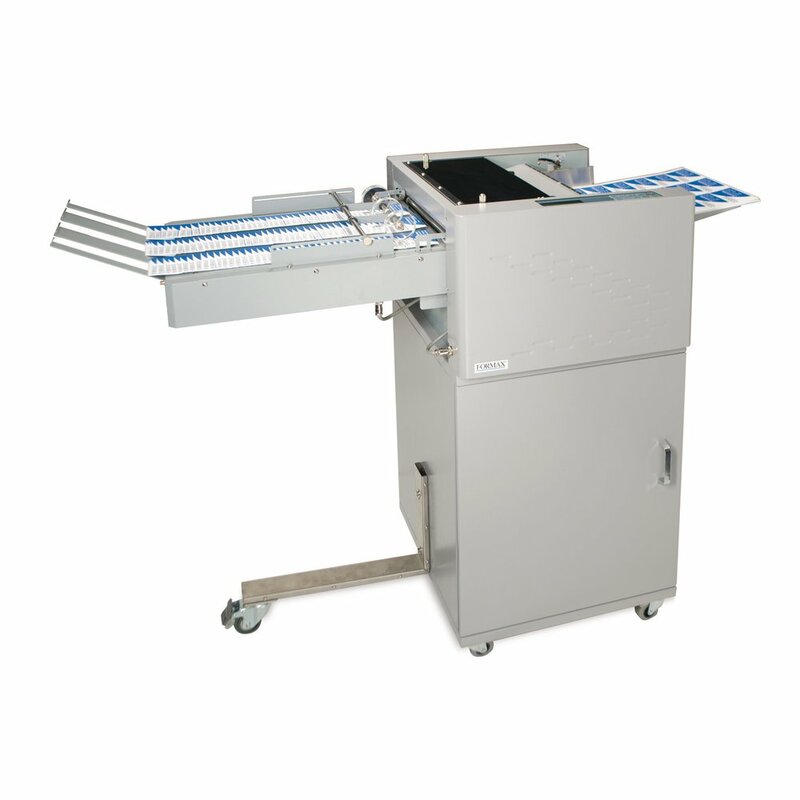 Options include a 15” output conveyor for neat stacking, and interchangeable cutting cassettes for even greater flexibility and productivity.